All the heroines find happy endings and they all deserve them, as each has, in one way or another, worked, suffered, learned. But if they do not get more than they deserve they often seem to arrive at, or be helped to, the happy ending by a stroke of luck…at the right moment. The happy ending is not guaranteed by their actions. What seems to be more important than the sudden and fortunate event, however, because it precedes the ending again and again, in whatever manner the end is produced, is that the heroine is prepared to accept unhappiness. The endings of Jane Austen’s novels are never sentimental because before she will allow the happy result the heroine must face the fact that she has lost…The reader may refuse to believe that any of these things will happen because he has been given a different set of expectations, but the heroine must believe. She must not simply see the threat as another obstacle that she can do something about, and she must not despair because, having lost, there is nothing in her life for her to do. She must really see it as a loss, absorb it as an irreversible fact, and then come to terms with herself and go ahead with what she must do now. She often finds herself in the same place and in the same company as she was at the beginning, but she cannot be the same person herself because time has made a difference and things will never be the same again. She must in the same place face a new time, and it is very hard…[The heroines] must accept their unhappiness before they are granted happiness. The reward then is not the essential thing because it need never have arrived; that may well be dependent on chance; what is important is that at the time it is granted the heroine is worthy of a happiness that has a meaning. She would have been worthy of it even if her lot had proved unhappy because in her place she has used her time well, and that is not a matter of chance. Think particularly about the scene after Sarah has shot Quinn and Chuck has grabbed the Intersect glasses. Chuck knows that Ellie can use the glasses, after modifying them, to restore Sarah; that has been Chuck’s plan and he tells Sarah so as he looks at the glasses. But if he does not use them himself and download the Intersect, Beckman and everyone in the venue will die when the bomb explodes. The Intersect is necessary to defuse the bomb. Chuck explains this to Sarah, and she nods, acknowledging the necessity. She understands what the choice means for her, but especially she understands what the choice means for Chuck. Chuck puts on the glasses and downloads the Intersect. He defuses the bomb. I isolate this moment because it brings into clear focus Chuck’s willingness to accept unhappiness. His last chance to do something himself to bring about his happiness goes up in the smoke that issues from the Intersect glasses after the download. But he does not despair, he does not simply give up. He saves everyone. In doing so, at least from his point of view, he loses Sarah. He believes that. He sees it as an irreversible fact. He may hope that something will change; but he can no longer expect it to do so. He must now in the same place, in Burbank, face a new time–and it is very hard. He is alone again and anew in Burbank. Choosing to save everyone from the bomb rather than to bring Sarah back (and her willingness for him to do that) is his way (and, it turns out, I believe, hers) of showing that he (and she) is worthy of a happiness that has a meaning. They have made similar choices before, but never one where they lose so much–not just their life together, but even Sarah’s memory of their life together, and all of her growth during that the time of their life together. This is perhaps the central reason I think the kiss works. Is it a Disney-esque device, as Morgan himself admits when he suggests it? Yes. But the point is that Chuck has worked, suffered, learned. (We can also say these things about Sarah mutatis mutandis.) He has used his time well, and that is not a matter of chance, not Disney-esque. As much as we viewers may want that reward, the success of the kiss, for them both, that is not the essential thing. The essential thing is Chuck’s acceptance of his unhappiness. That he has accepted it is borne out on the beach. He tells Sarah to trust him, that he will always be there for her. But crucially he also says that he does not expect anything of her. He is reconciled to losing her, but that has not changed how he feels about her or his desire to be there for her. As I said in my book, Chuck will be her husband even if she chooses not to be his wife. He is worthy of happiness; he is worthy of her. The boy-man Nerd Herder is gone. A fully grown and self-possessed man is beside her. Seeing him, and seeing him to be what he is, she wants to be kissed. She is ready to remember. My Chuck book, *Chuck: Real Love in the Spy Life*, is available for free. It can be downloaded in multiple formats–ebook or .pdf. Click on “The Chuck Book” above. Ed Mooney has written a lovely little essay at Zeteo–an essay that starts with some of my comments on Chuck and Sarah’s wedding. Auburn philosophy professor Kelly Jolley discusses his upcoming book on cult TV show ‘Chuck’ | The War Eagle Reader. Chuck artfully grafts a spy thriller onto a romantic comedy. It deepens the romantic comedy by including within it two complementary Bildungsromane, the story of the growth of the two central characters–their growth as individuals, as a couple, and as individuals because they are a couple. Each tutors the other; their we tutors their I’s. The show explores trust and mistrust, belief and doubt, truth and falsity, and reality and appearance. It also explores hope and despondency, love, loss and loneliness. Sarah challenges Chuck’s self-mistrust. She gives him the will and confidence to become what he is (but cannot believe himself to be). Chuck challenges Sarah’s moral imagination. He quickens her sense of human actualities of trust, warmth and hearth. Sarah models competence for Chuck. Chuck models vulnerability for Sarah. 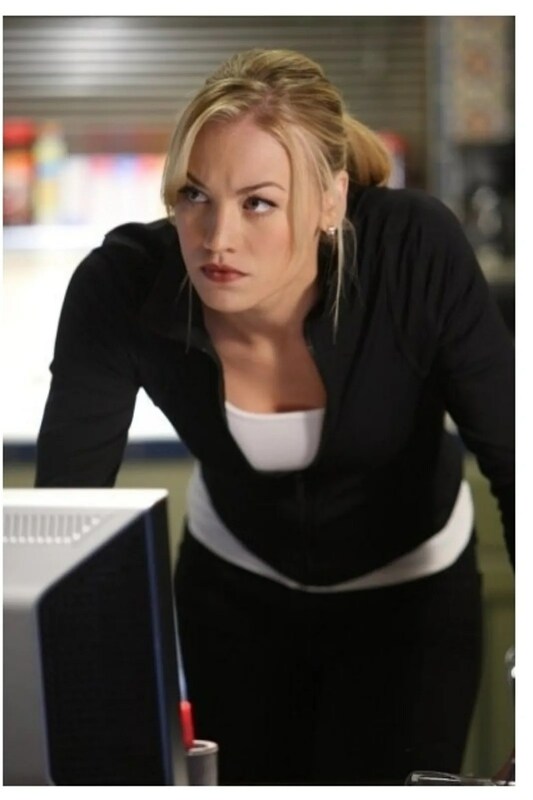 Chuck becomes a spy while remaining a human being; Sarah becomes a human being while remaining a spy. Chuck achieves density and resonance. It is a show of patterns: of duplications, of symmetries, of echoes, of types and anti-types. It is animately, virtuosically contrapuntal–like Bach. It speaks an elaborate language of images, events, actions, places, words and music. It also speaks that language quite quickly and volubly, making serious demands on its audience’s attention and memory. But it also rewards that attention, that active participatory recollection, by steadily ingathering meaning. Let me clarify some of my terms. What do I mean by ‘density’ and ‘resonance’? By calling the show ‘dense’ I mean that in it many meanings are often carried by one image, event, action, phrase or word. By calling it ‘resonant’, I meant that one word, phrase, action, event , place or image is often projected into or recollected in many other contexts. Think of density as a many-in-one phenomenon and of resonance as a one-in-many phenomenon. One interesting, complicated example of density is the word ‘date’. The problematic meaning of the word between Chuck and Sarah (the central characters) is established in the very first episode. They go on what Chuck takes to be a date. Sarah takes it to be an opportunity to establish herself as her asset’s handler, i.e., as her chance to insinuate herself into Chuck’s life and establish control over him. But one problem with going on a pretend date (of the sort they go on) is that it is very much like going on a real date (think how much like waving pretending to wave is). Sarah gets dressed up, as Chuck does–except her outfit includes body armor and weapons. He picks her up and takes her to dinner. They talk. They go dancing. Chuck intends to go on a date and believes he is on one. Sarah intends to develop an asset, and so begins the evening with intentions unlike those that normally are involved in an actual date, those like Chuck has. But before the evening ends, her intentions have become unclear. Maybe she is on a date. It starts to seem–to her–like she is on a date. Eventually, she is on a date–although she would deny it if asked. So did they go on a date or not? Yes? No? Sort of? Whether this is the right word, or at any rate what meaning the word has, will remain an issue between them. They will come back to it several times in the course of the show and even in the final episode. For them, the word bears both an attenuated and a full meaning–say that it is appearance/reality ambiguous. The attenuated sense is the sense of a merely apparent date, a pretend date. The full sense is the sense of a real date. Many of the words of Chuck are appearance/reality ambiguous, and thus dense in a problematic way. Rings: engagement rings, wedding rings (fake and genuine), ordinary rings, even an evil spy organization known as “The Ring”–rings appear and reappear throughout the show. Trains and train stations: many of the significant moments of the show take place on trains or at trains stations, a train station in Prague and Union Station in LA are perhaps the most significant. Together, the density and resonance of the show make reading it (I will say more about this use of ‘reading’ below) tricky in specific ways. Often, the full meaning of an episode will not be revealed until a later episode, but not because there is something unexplained in the earlier episode–say, something kept secret. No, the full meaning of an episode will not be revealed because there is a word, phrase, action, event or image that gets projected into a later episode, and which deepens or widens or heightens the significance of the earlier one. We can call density and resonance ‘linguistic’ phenomena: a language is marked by the way in which its individual words and phrases can simultaneously carry many different meanings and by the way in which its individual words and phrases can be projected into new contexts, contexts in which their old meaning remains part of their story, but only part of their story. The words now have more to tell. That is part of the reason I say of the show that it speaks an elaborate language. Chuck strives for formal completeness. It is not just telling a story that begins, has a middle and that ends. Of course, it does do that. But the story-telling is peculiar. Put it this way: the beginning of Chuck presupposes its ending as its ending presupposes its beginning. The final episode presents the end of the events began in the pilot. But it does more than that. It retells the pilot episode, reenacts it. By an instance of what James Joyce in Finnegans Wake calls “a commodius vicus of recirculation”, the end of the show takes us back to its beginning a second time, to a second beginning. When They Might Be Giants sing, “How About Another First Kiss?”, part of the fun of the song is the impossibility of what is requested. But Chuck, because it has structuring principles other than temporal ones, contrives to make what is requested an actuality. Understanding the show as linguistic, as speaking a language, helps to explain why I want to call what I am doing reading the show. But I use that word to do more than to provide an appropriate description of my response to the show’s linguistic character. I also use it because I want to situate Chuck in relation to various (other) texts–works of philosophy and works of literature. By saying that I am reading Chuck I am insisting on the fact (I take it to be a fact) that the show can withstand sustained comparison to such works. It can be read in the active, inward and sympathetic way that they can. For example, I repeatedly appeal to the work of the philosopher Gabriel Marcel in what follows–I have used lines of his as epigraphs for the book itself and for some of its chapters. Marcel’s work clarifies the show, helps to bring its deeper concerns and its fixations into view and to make them easier to understand. I realize that this may seem fantastic. After all, a tv show, a network tv show, a long-arc romantic comedy network tv show? Surely, pairing Gabriel Marcel with Chuck staggers credulity. I must be mistreating Marcel. I can’t be serious. –I am serious. The show can survive such a pairing, and still others that will appear in the pages below. The pairing does no damage to Marcel–in fact, it helps to clarify what he is saying and why he is saying it.